Chloe’s little cardinal on a nest with the cardinal eggs underneath sitting in a comfy nest. Chloe’s snowface, Tony and Me. 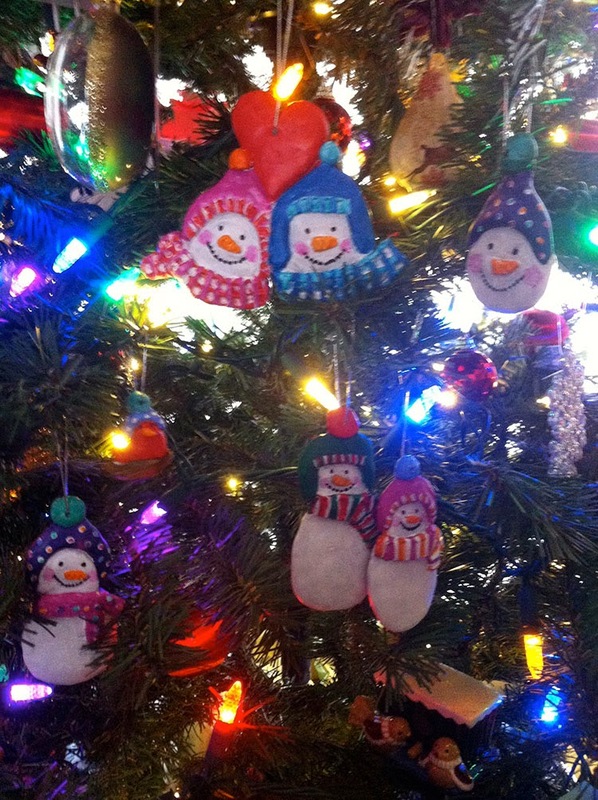 Here they all are together on the 2013 Christmas tree. Hi Friends, I guess a new tradition has developed over the last couple of years. We have turned ornament making into a Christmas tradition. 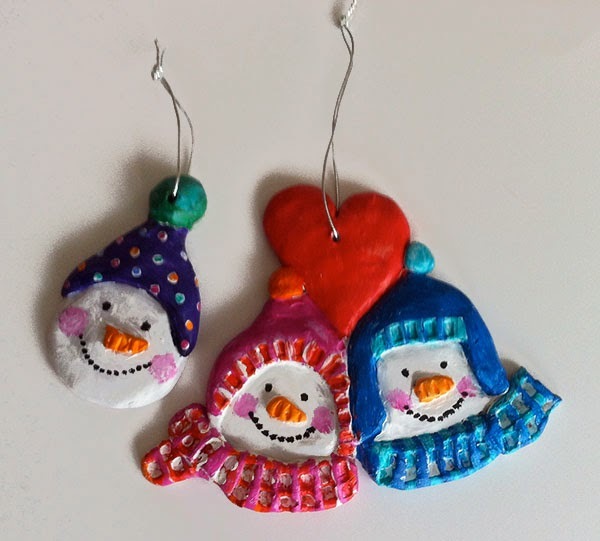 With a little Sculpy purchased at Michael’s and some paint, we made these simple little ornaments for 2013. 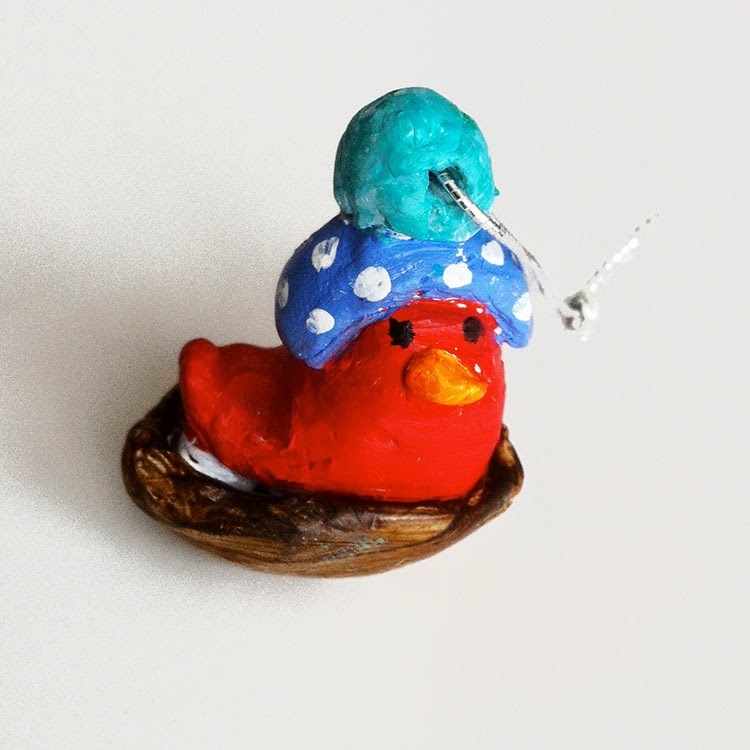 Here are some simple tips…First work the Sculpy in your hands to make it softer and workable. After creating your ornaments, don’t forget to poke a hole in the top with a paperclip. Bake your creations for 15minutes at 275º, let cool and paint. 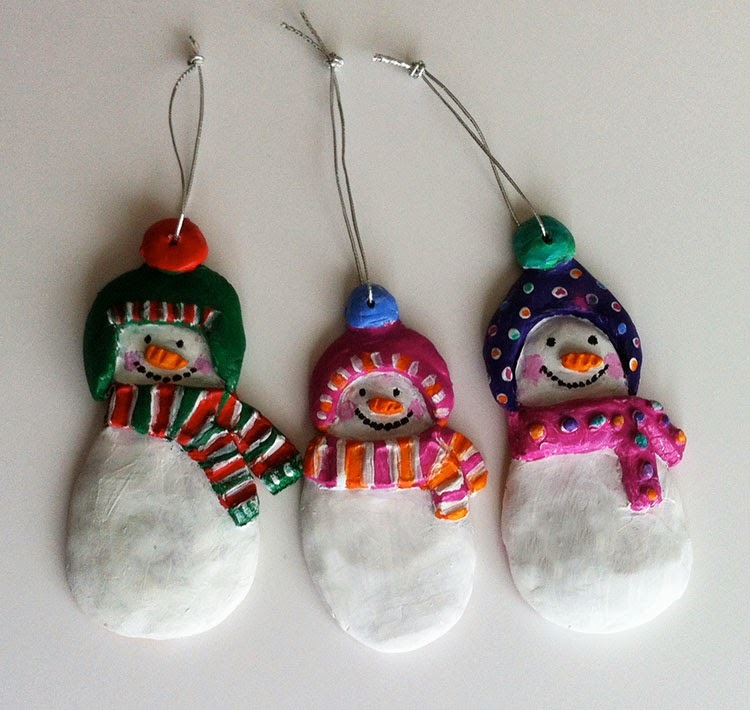 Add some elastic string so they can be hung on the tree. Don’t forget to “date” your designs. Happy Holidays!